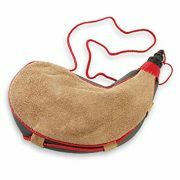 In the ancient world wine was carried in what were known as wineskins. These handy liquid vessels, similar today’s bota bag pictured above, were made of animal skin, especially pig skin. The skin was thoroughly cleaned, tanned, and finally turned inside out so that the hairy side remained inside. 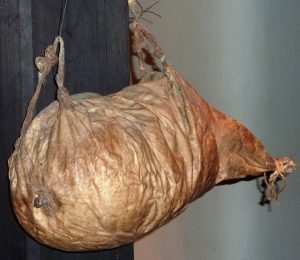 Wine was then stored in it with the animal hair staying in contact with the wine. I imagine the ancient people were constantly pulling hair out of their mouth. But hey, at least they had wine.